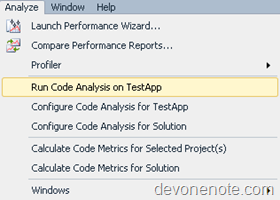 Most of code defect is result of old function no longer used and referenced. Remove them will prevent developers from wasting time investigating wrong code. Thanks to FxCop in visual studio, now finding dead code is pretty straight forward. 1. 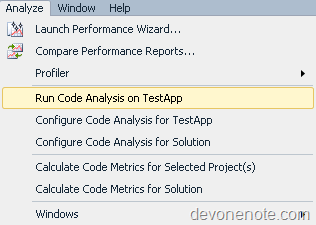 Open application project and in project properties, click Code Analysis tab. Change Rule Set to Microsoft All Rules as in screenshot. 3. 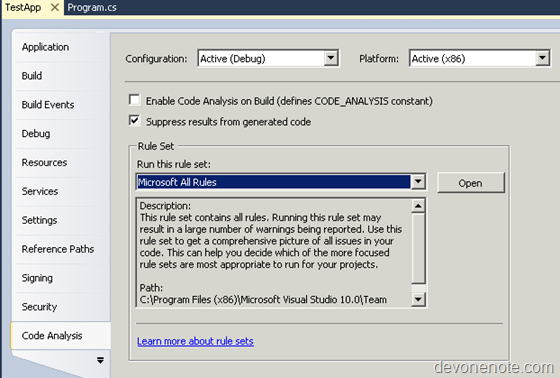 Visual Studio will rebuild projects. FxCop will detect all kind of dead code in build time and report them as following 5 type of warnings. Double click the warning will bring your to the source. Now have fun getting dead code removed.